Mortgage Rates Mortgage brokerages negotiate discounted rates with lenders, and have access to rate promotions and specials. Rates are set by the Bank. If there’s a better deal in the marketplace, you’ll have to find it yourself. 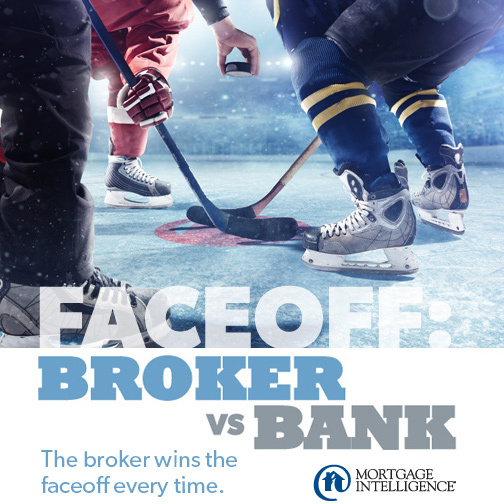 Objectivity Your Mortgage Broker works for you, not any one lender. Mortgage specialists are there to build business for the Bank. Solutions Brokers have access to mortgages for the self-employed and those with past credit issues. It is difficult to get a mortgage for certain client situations. Cost The winning lender pays your Broker for the services and solution provided. Mortgage specialists are paid and incented by the Bank. Ongoing Service Brokers offer ongoing advice after your mortgage closes i.e. how to pay off your mortgage faster, power down debt, finance renovations or invest in property. There have been many regulatory changes, so it’s important to have access to a mortgage expert. No proactive ongoing advice is typically provided. You will get an annual mortgage statement. At Renewal Your Broker will go to bat for you again to make sure you have the best deal possible. You may not be offered the best deal initially, requiring you to proactively contact the Bank to negotiate. Getting a mortgage is a very significant financial event. That’s why you want someone who is highly specialized in the mortgage marketplace and focused solely on your needs. Get in touch with the experts at MiMortgage.ca for advice that is relevant to your situation. Categories: Homeownership, Mortgage Brokers, Refinancing Mortgages, Saving Money, Your Home, Your Money | Permalink.